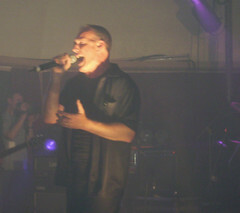 Live, Edinburgh Corn Exchange 16th August 2006. 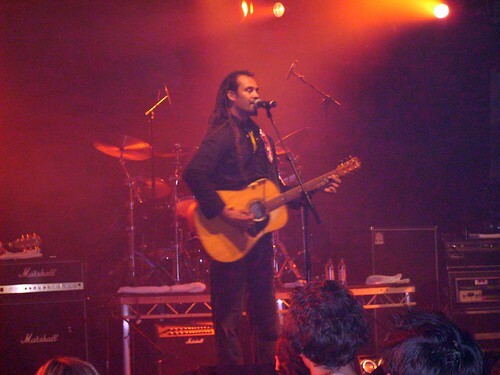 It was back into the Corn Exchange sweat box for another return visit by Michael Franti. The guy must spend most of his time on the road. This is the third time I have seen him in two years. A mate I met had seen him 12 times. Still, nice to see he got back from Baghdad in one piece and of course he is always good value. There is a reason he gets a big turn-out and that is because he and his band are a great live act. For my money he has never really translated that to record. His new tune sounds like U2, in a bad way, but even that sounds ok live. Support came from Xavier Rudd, Aussie hippy one man band with a digeridoo and a drum machine not to mention several guitars. He clearly has a following and Edinburgh's Aussie community were out in force. He was fairly enjoyable even if he is a big hippie going on about the spiritual connections between Scotland and Australia. More photos of the gig from me on flickr here.